Contact via email, callback, whatsapp, and skype. 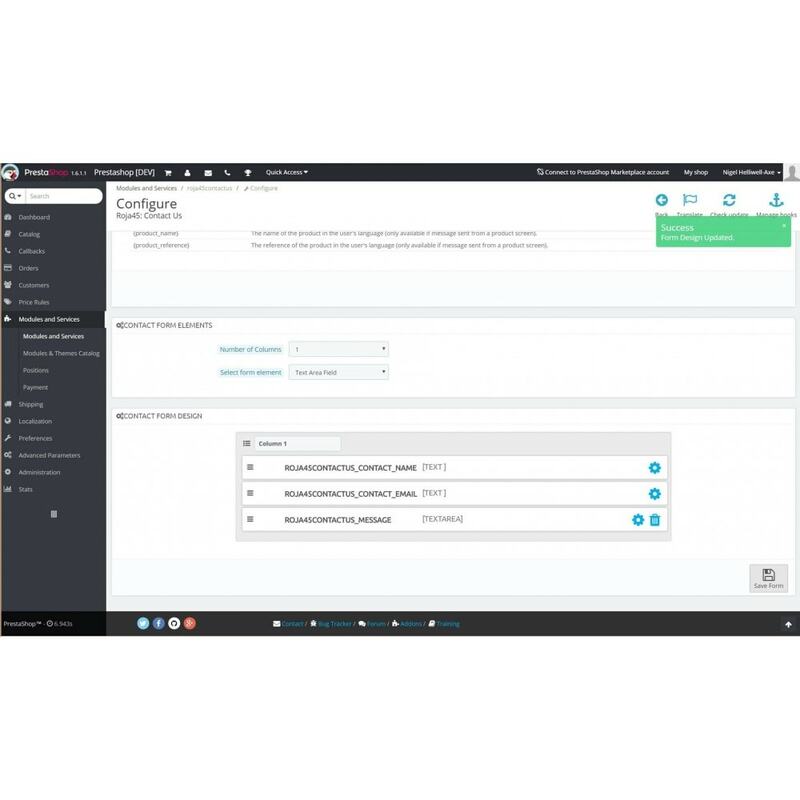 Customizable contact popup dialog from any page, email form designer, specify multiple email destinations based on the page the message is sent from, callback options. 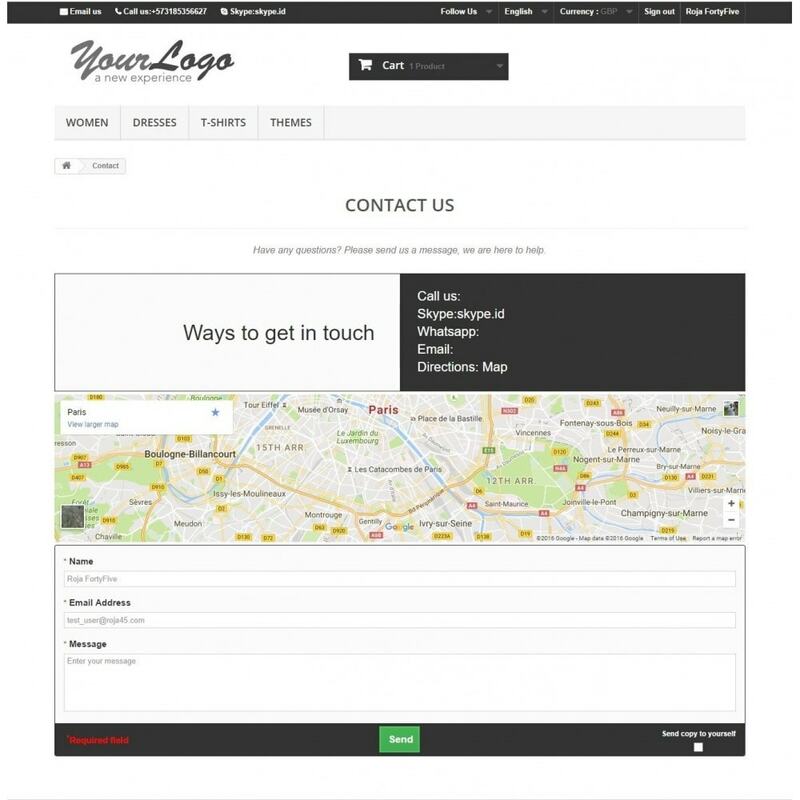 Display map location on the contact page, email, telephone and Whatsapp. Displays your contact phone number, and a Skype link in the navigation bar replacing the standard contact info block module. Displays your whatsapp contact number, and lets you send a message from to a whatsapp contact from the web. 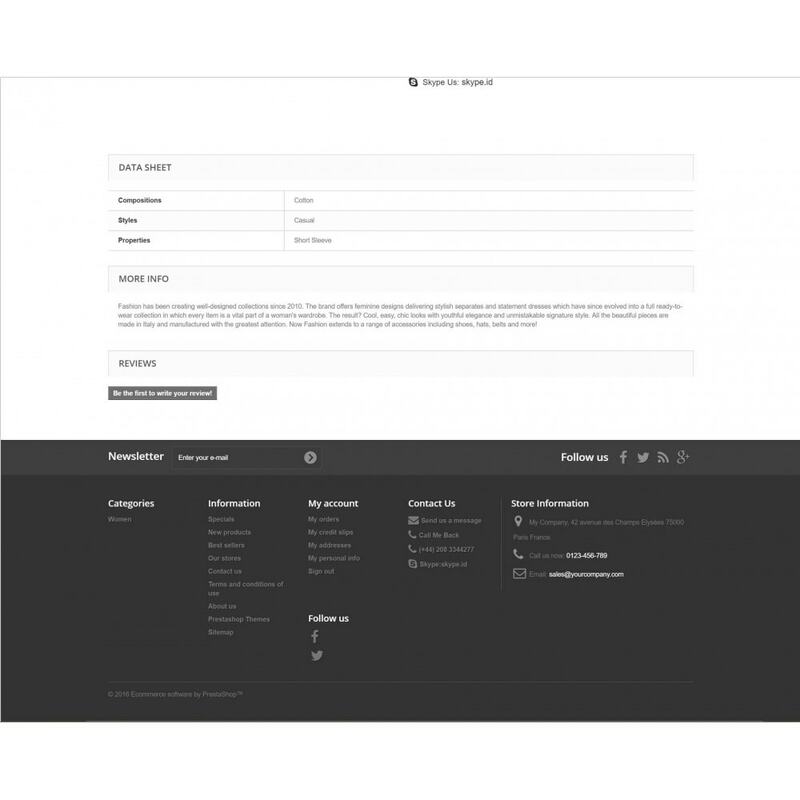 You can design your contact form with the built in designer fully tailored to your specific requirements. 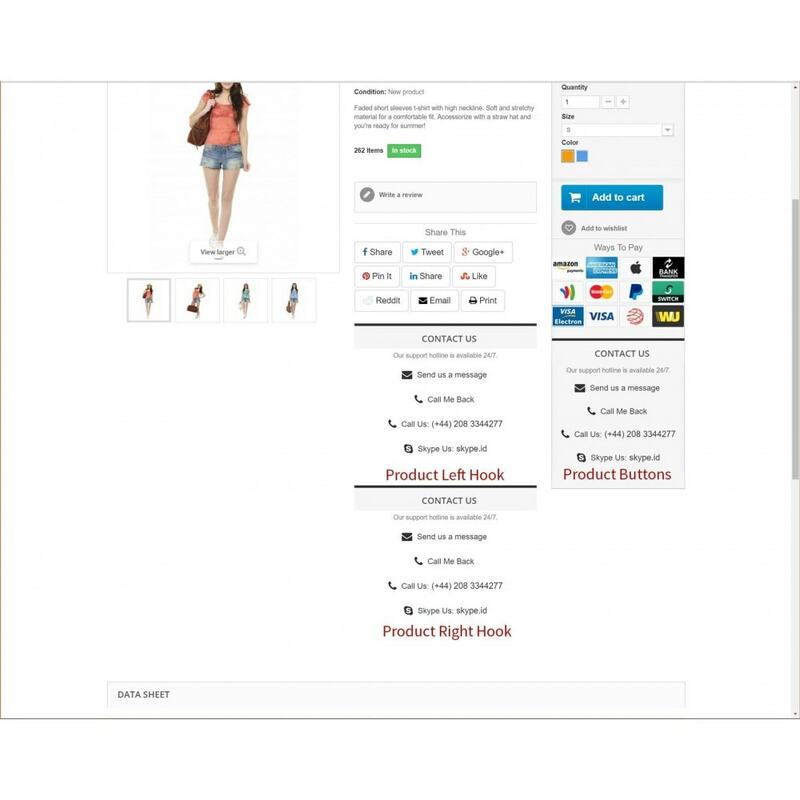 Customer can contact you from the screen they are currently browsing, no need to browse to a separate contact screen. 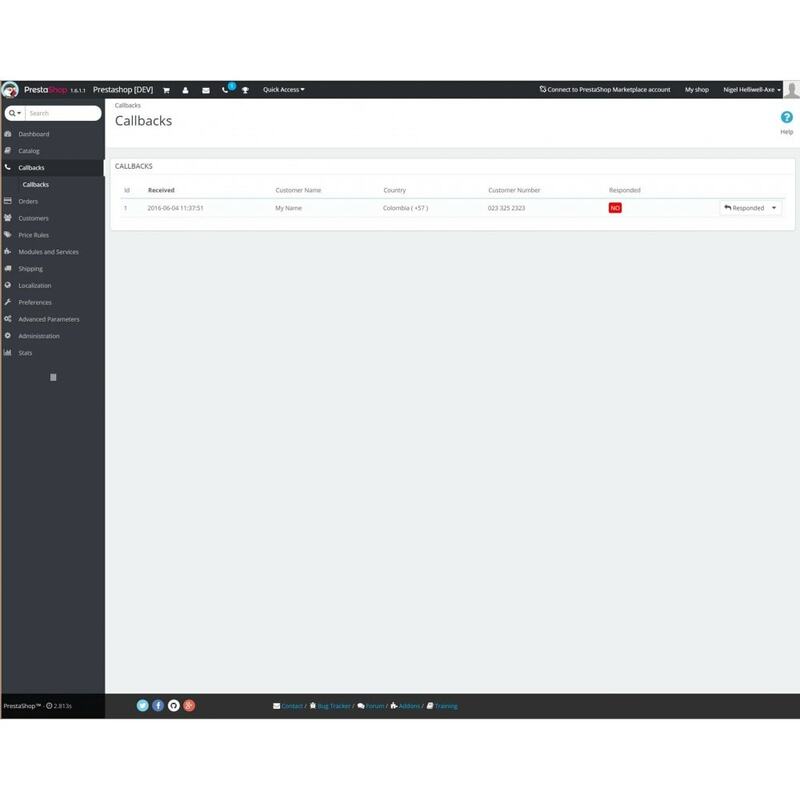 Automatically display your contact form after a predetermined amount of time. 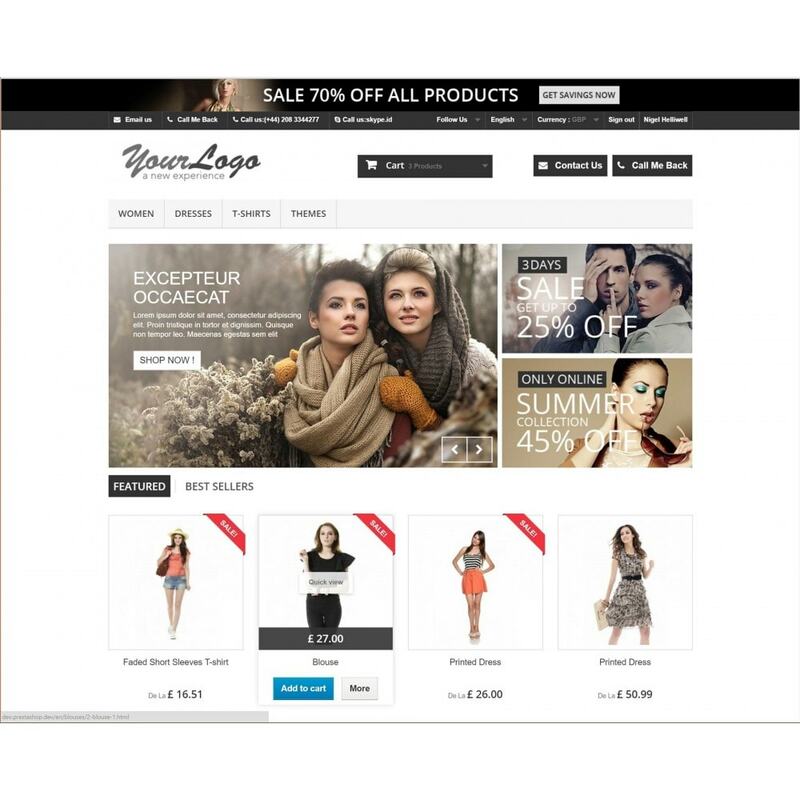 Emails can have multiple destinations, subjects, and content based on the page the customer is browsing from. 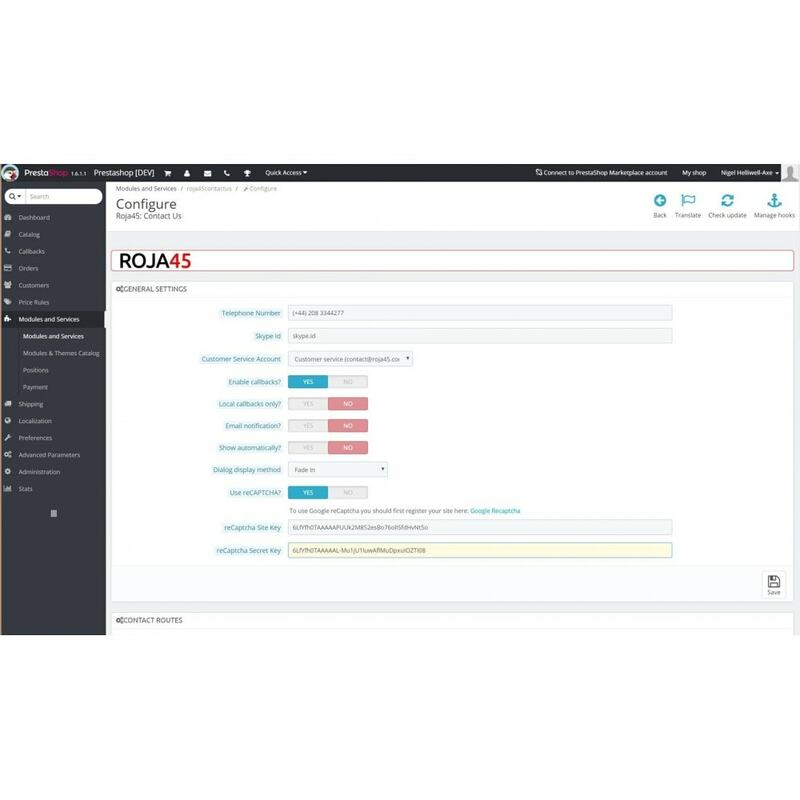 Uses a hierarchy of regular expressions to route your email based on the current URL, route based on language, category, or specific products. Subject headings can have the option of using replaceable tokens to provide you with a quick overview of what the cutomer is interested in. A callback option provides a simple dialog capturing the customers name, country, and telephone number. Callback requests are displayed in their own section in the back office, with optional email notification, with an additional indicator as used to indicate new orders, and customers. You can mark your callbacks as responded from this screen. Callback can be restricted to local customers only. Uses Google reCaptcha to reduce spam. Increase the likelihood of a customer contacting your business. 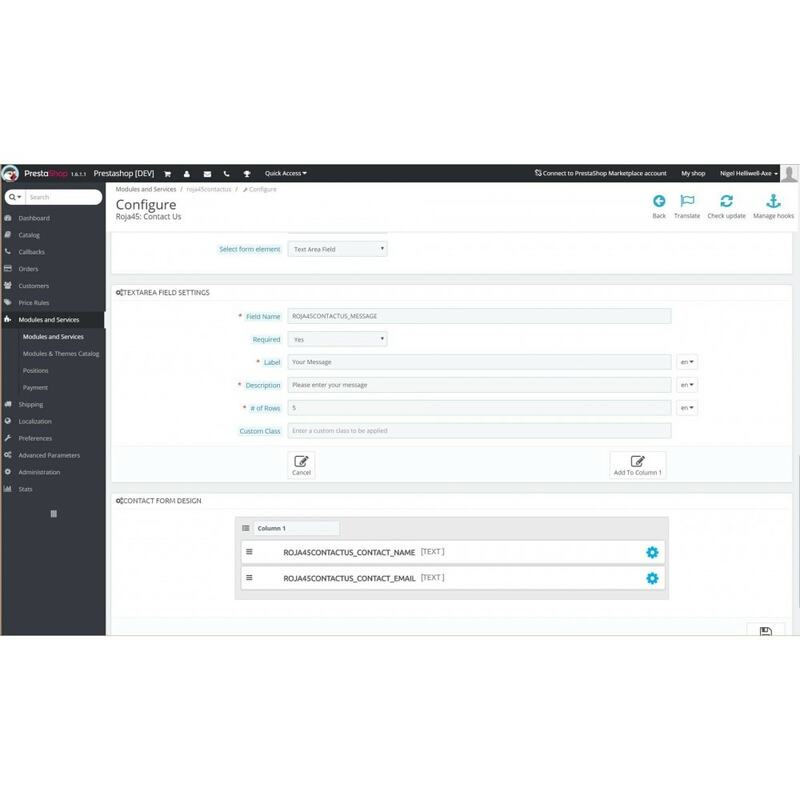 Combine all popular contact requirements into one module. Send message popup dialog from any screen. Customize your contact forms with a built in form designer. Multiple email destinations based on the URL the message is sent from. Send different emails, subject headings, and/or email content depending on the language, category, or product. Email subjects can use replaceable tokens. Callbacks registered in the Back Office in a new Callbacks section. Optional Google reCaptcha to reduce spam. Best value, fully featured quotation module. Respond to client requests, or create quotes from the back office. Track their status and let your client log in to purchase a quote. Use the form editor to get the details you need from your clients. 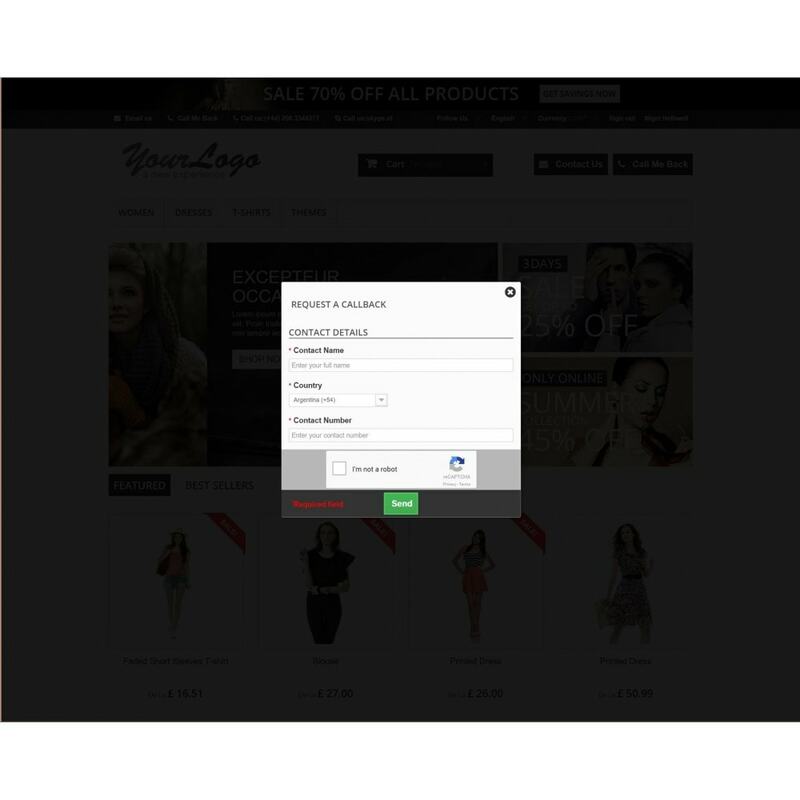 This module gives you control over the number, position, and graphics used for the payment methods available in your store. Create new payment method logos; enable, disable, reorder and change tooltip text for each payment method. Provides a number of contact routes for your customers, this module makes it easy for your customers to send you a message, and increases the likelihood of a sale. One-click install, no difficult setup steps. Add email templates in english for other languages. 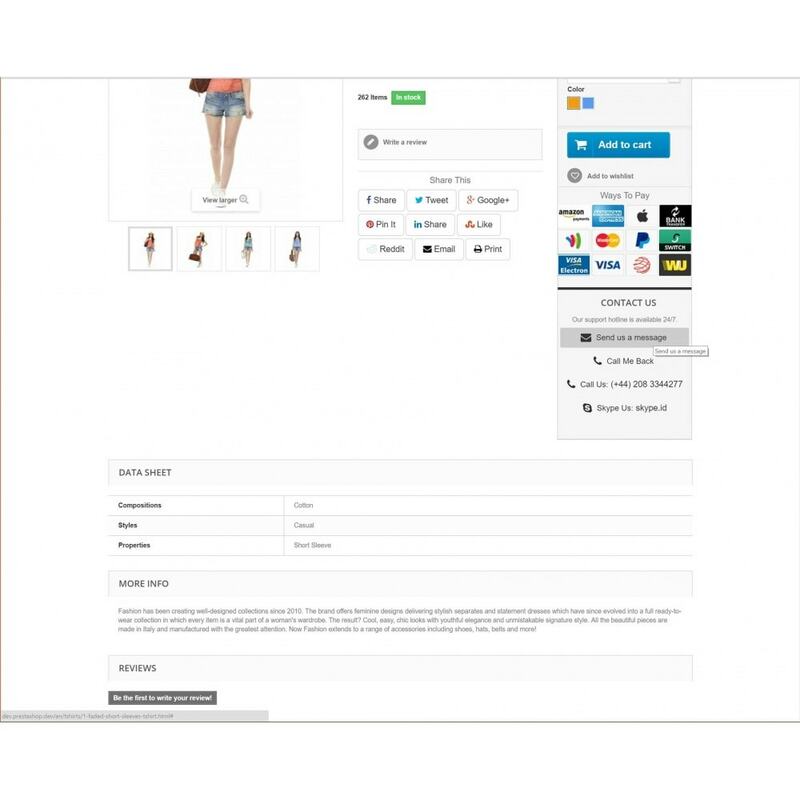 An affordable product rental solution for Prestashop 1.6 & 1.7. 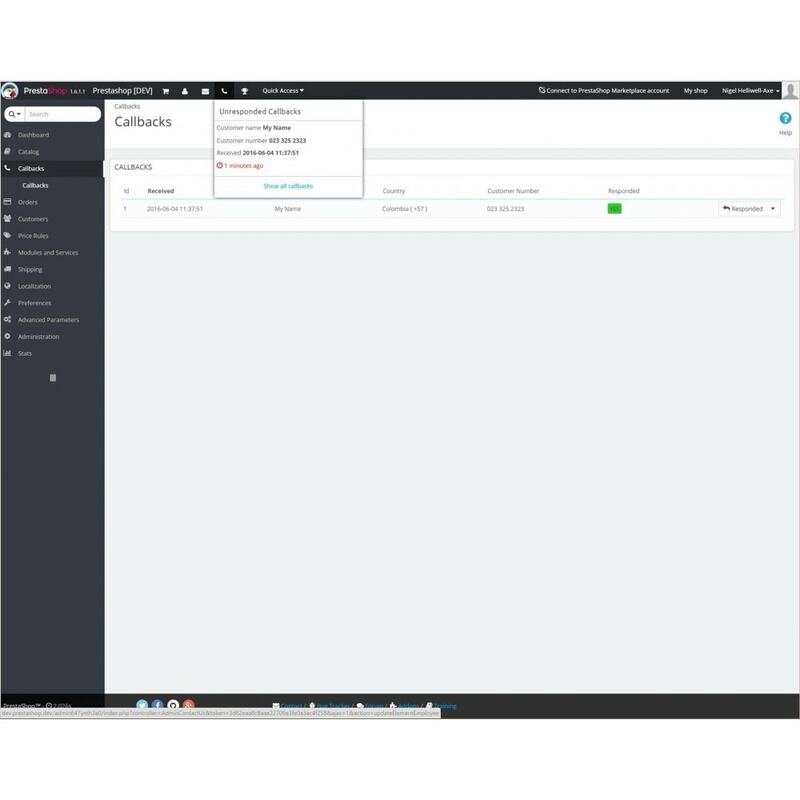 Set up and rent your catalogue with just a few clicks. Property Rental Manager by Roja45 adds accommodation rental capabilities to selected products in your catalog. Build your very own booking.com within Prestashop.